Let’s talk about simplicity in gathering. 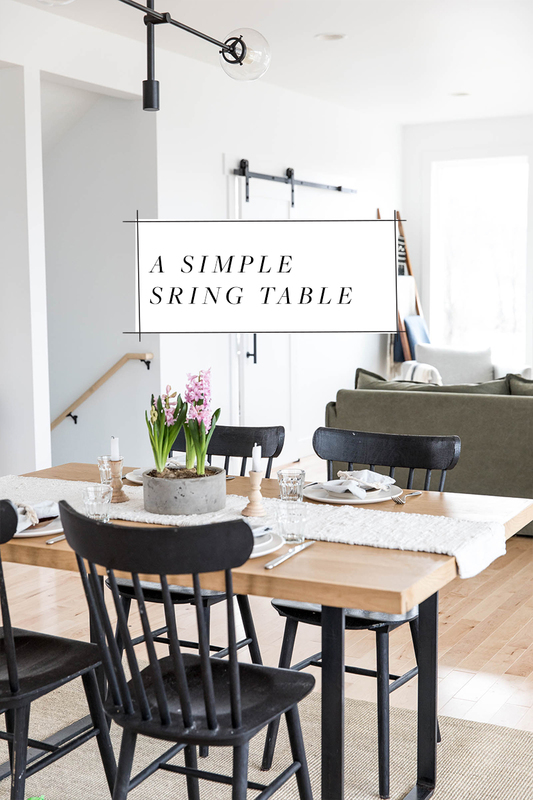 This isn’t going to be a table setting that will blow up Pinterest or feel like the shock face emoji, but what it will be is it will feel real, achievable, and ultimately the perfect setting to welcome amazing food and great conversation (the most important thing you ever set on ANY table). 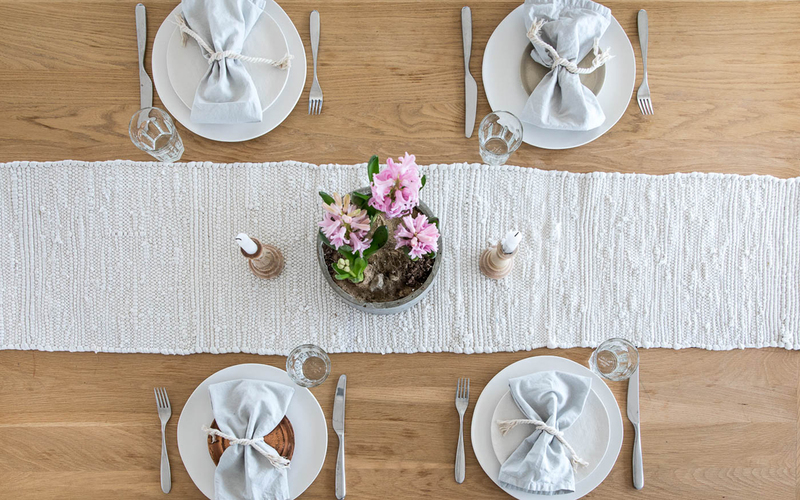 When it comes to spring tables whether for Easter, Passover, or just because, it is about taking notes from our world outside. The colors are crisp and dull all in the same breath. Things are still bare and not full yet. 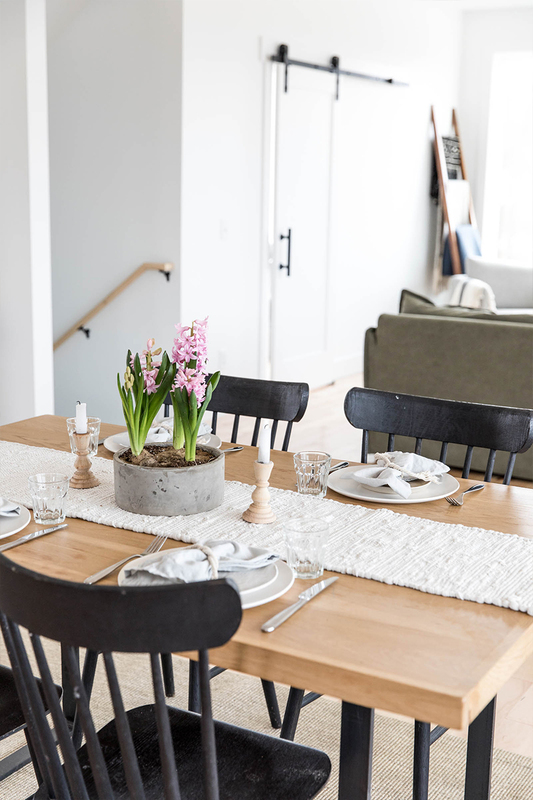 It all feels new and fresh so why not bring those things to your table as inspiration? 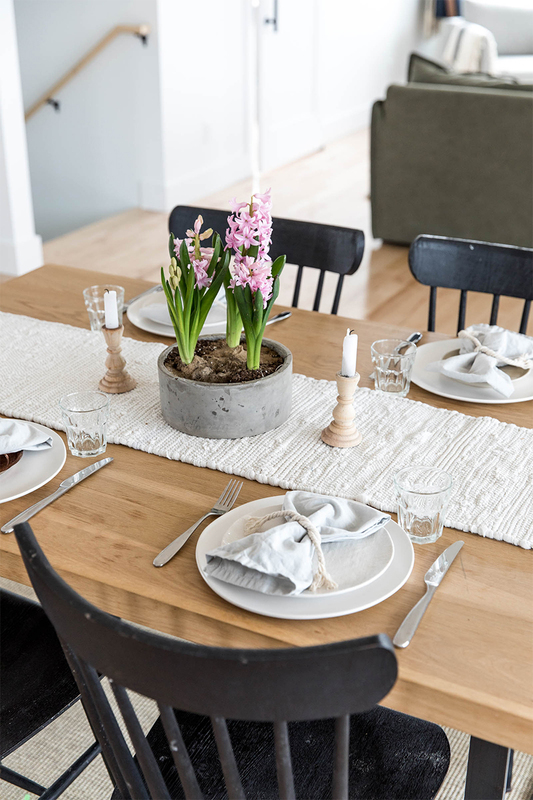 For our table for spring, I headed to the local store and found spotted bulbs that were being sold prepotted and were popping up but not yet bloomed. I then repotted them in a concrete pot back home. Of course, you can also do something similar with just purchasing bulbs and working ahead. See a similar DIY here if you want to do something like this. What I love about having a potted plant in the center of your table is that it is a reminder of the blooming of the season. Cut flowers are beautiful too if you are on even short notice or don’t like dirt on your table, but personally, I think it adds an element and awareness of the earth to the focal point of the every day. Not to mention watching this plant bloom and grow in our home before we ever see anything beginning to do so outside is a wonderful reminder of what is to come. From there I keep the rest of the table simple and neutral but still very spring like. 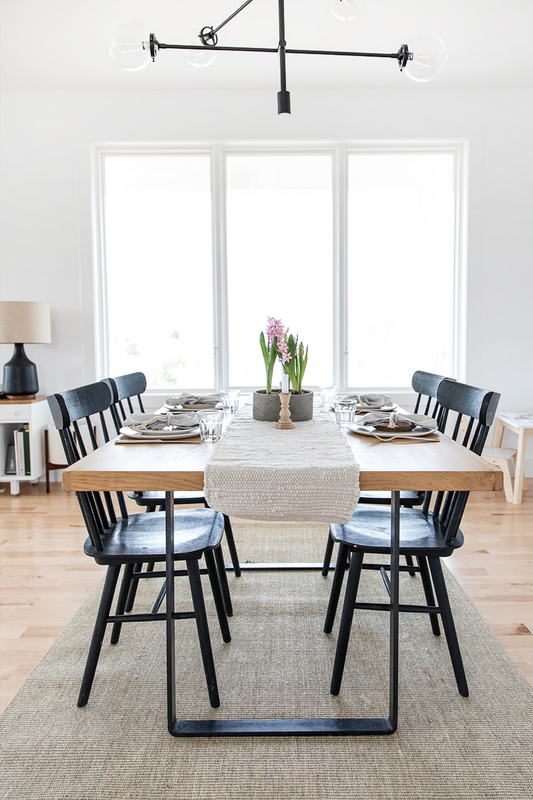 Using light neutrals with some rustic charm feels like spring. It is the embracing of the tones outside while feeling light and bright. I love keeping dinner plates simple and basic and then using collected small dishes for salad plates. 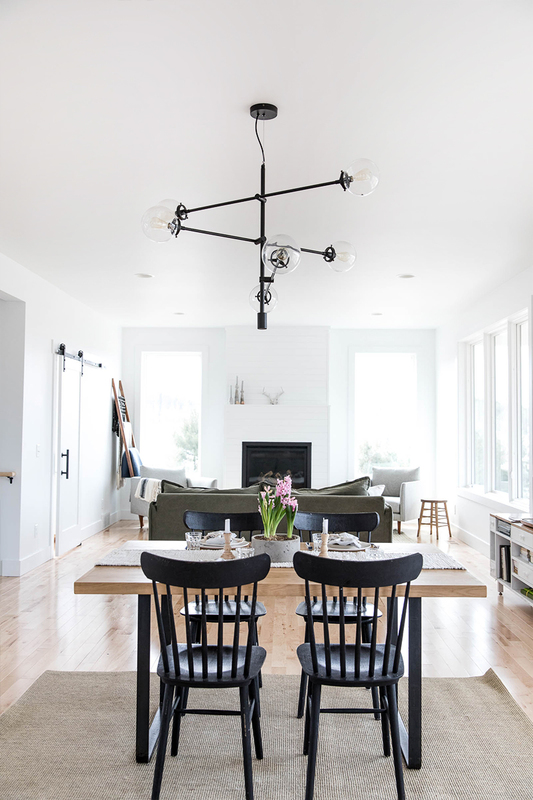 They all are in a similar palette but create interest around the table so it feels less stark and has a warmth of being down to earth and homey. 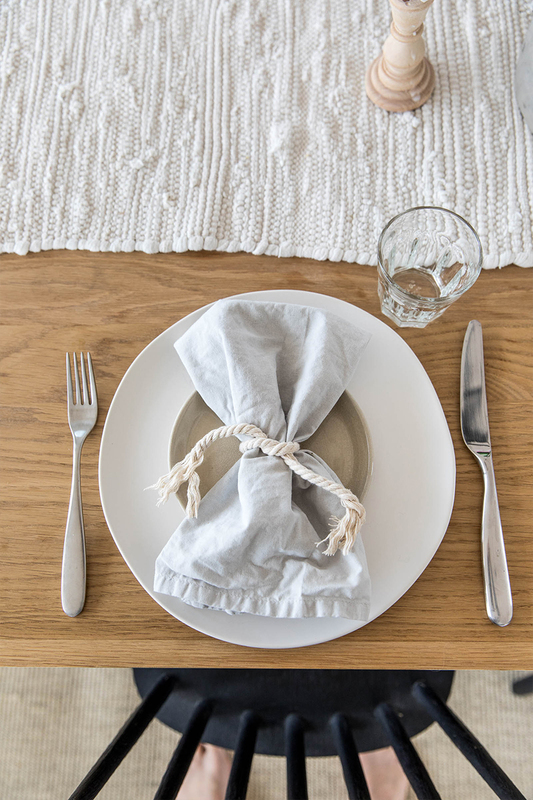 Next, I used very simple light gray napkins. They aren’t ironed and just straight out of the wash and line dried. This leaves them crisp but allows the fabric to do what it will. This makes it easy to fold and create crisp lines while imbracing the natural texture of the fabric. 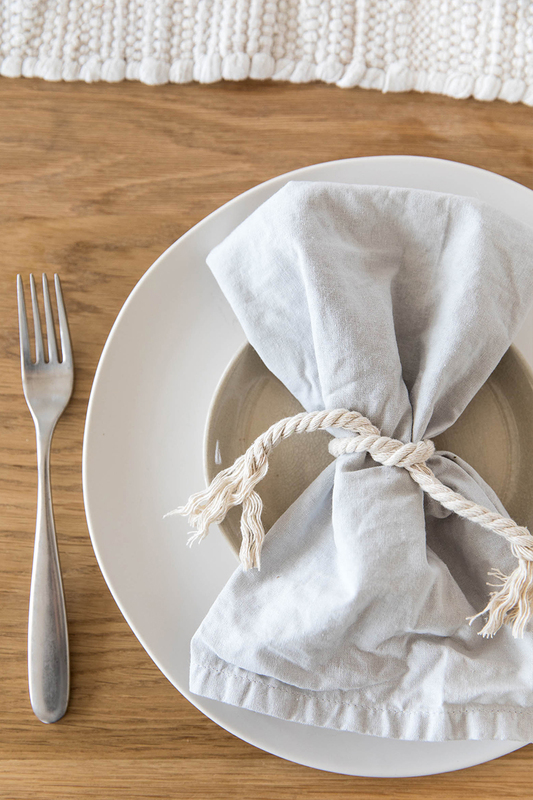 I then used leftover cotton rope from a holiday project I did to make napkin rings. Once again it creates a natural and organic feeling to the table, remains simple, is inexpensive, but still feels sophisticated. I frayed the end of the rope to help bring in even more texture to the table. Since Spring is the season of bringing light in, most of the time candles are not as necessary, but I love using these simple wood candlesticks with burnt down white tapers in them. This way they don’t take over the table but offer a sweet light to counter the end of the evening. 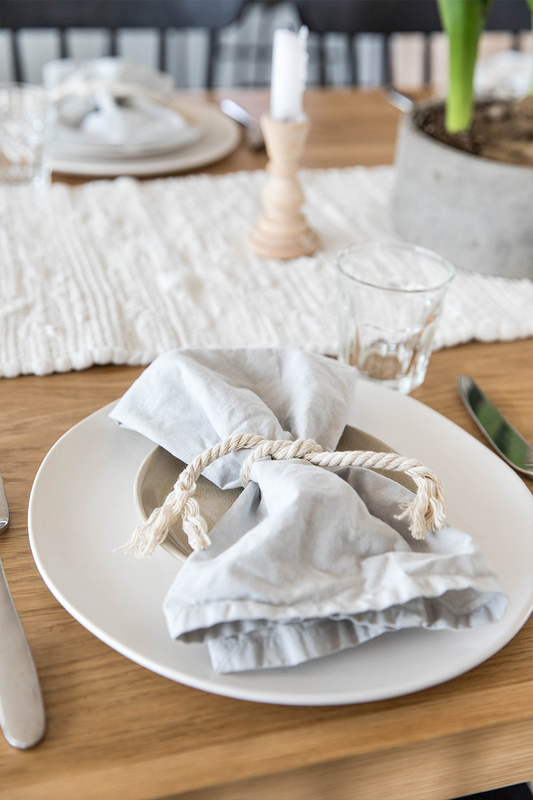 Finally, a runner like this one made of cotton rags is a wonderful way to finish the table. It washes up well and it is the perfect organic finish to a table. The best part is you don’t have to iron it to place it on the table. It just rolls out and creates a new look to the table instantly. To find all the sources for everything you can find it below. 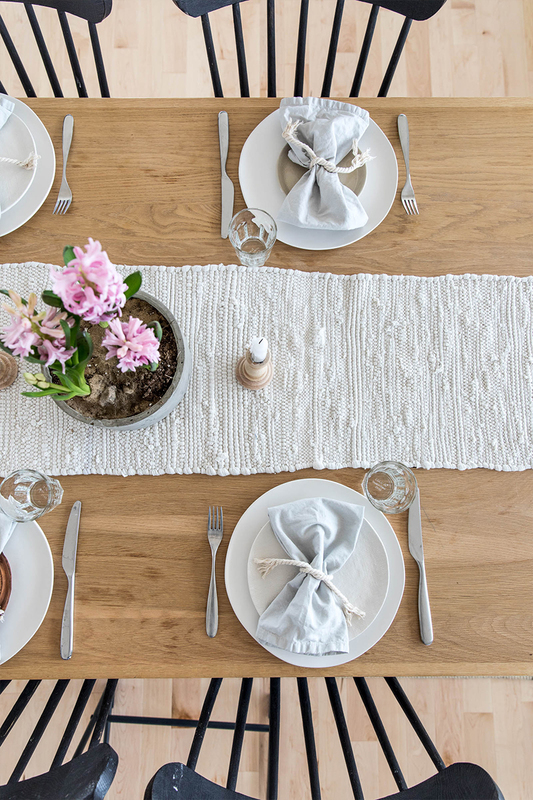 I am excited to hear other ways you put your table together for the season.